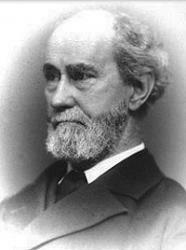 Today in Masonic History we present Salaam Aleikam by Robert Morris. The term Salaam Aleikum, also written As-Salaam-Alaikum, was a common greeting in the Nation of Islam. It translates to "Peace be unto you." There is also the similar Wa-Alaikum-Salaam which means "And unto you Peace." And "peace be with you," said the Lord. Those words, so sweet, so sanctified! Salaam Aleikam, one and all! Peace in the Lodge you prize the best! Out of confusion to bring peace! Salaam Aleikam, peace to vou . His wages pay, and part in peace! But make Refreshment yield to Peace. "In love and peace to pass away . And sleep beneath the Acacia spray!" Say, "Peace be with you every one!"